While you might not believe that there’s a season for TFRs, it’s true in California right now. We have presidential visits, airshows, wildfires, football, and for a few days longer, baseball. All of these have TFRs associated with them. Take a look at this depiction courtesy of RunwayFinder from last Saturday. See all those red and orange circles? Those are TFRs and that’s not even all the ones you need to worry about in California over the next few days! In case you don’t know, a Temporary Flight Restriction is defined as geographically-limited, short-term, airspace restriction. [We can debate how short-term the Disneyland TFR has been]. TFRs are published by NOTAM (as opposed to the charting of Prohibited, Restricted, SFRA, MOAs, and other more permanent special use airspace). See the list of active TFRs. There are three things you need to know about any TFR – airspace, time, and restrictions. What airspace is included in the TFR? There are basically two ways that airspace is defined, either by a point and radius (defining a circular area) or as a series of points that define a random shape. Points are given generally as latitude and longitude, so you can find them on your charts. They are also usually given as a VOR radial and distance. The “blanket” sports TFRs are defined by a radius surrounding a sports venue (like the Rose Bowl). Altitude can be either MSL (most) or AGL (in the case of the blanket TFRs). Having those definitions is fine, but being able to see them on a chart really helps. 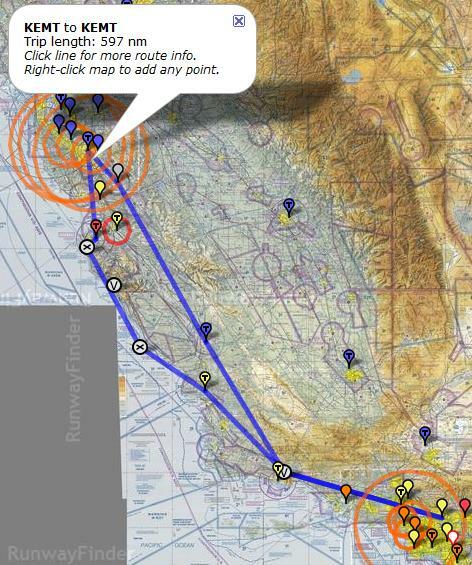 The FAA’s TFR site and most flight planning software will show you TFRs on a chart. Many TFRs come out as effective immediately and until further notice. This is typical with firefighting TFRs. Others have defined times (airshows and VIP TFRs). Lastly the blanket TFR times are defined based upon the start (1 hour before) and end time of the game (1 hour after). To be on the safe side, assume you can’t fly through a TFR unless you are very clear you meet the requirements to be able to fly through it. In most cases, TFRs are intended to keep almost all aircraft out. Here’s a typical example of a firefighting TFR that is common in California during the summer and fall. FDC 1/2936 ZOA CA.. FLIGHT RESTRICTIONS BRIDGEPORT, CA. Let’s break down what this is telling us. FDC = Flight Data Center. This is a type of NOTAM. All TFRs are FDC NOTAMs. EFFECTIVE IMMEDIATELY UNTIL FURTHER NOTICE PURSUANT TO 14 CFR SECTION 91.137(A)(2) = self explanatory? TO PROVIDE A SAFE ENVIRONMENT FOR FIRE FIGHTING AIRCRAFT OPERATIONS = there’s a wildfire, with firefighting aircraft in the area and they don’t want us in the way. This entry was posted in Tips and tagged pirvate, Student by dgwerntz. Bookmark the permalink.